Irma attended the University of Maryland and is a graduate of the Institute for Organizational Management and Leadership Louisiana. Irma has been involved with the Harbor Center since it conception. 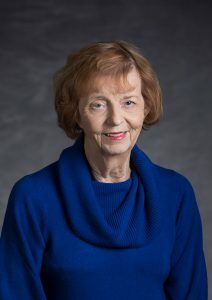 She initiated Leadership Slidell and served as administrator of the program from the beginning and Executive Director from August 1999 until recently. Over the years she has served and continues to serve the Slidell community by being a part of many boards and organizations including Leadership Northshore, Slidell Northshore Rotary, Aldersgate United Methodist Church Finance Committee, Adrenoleukodystrophy Foundation Board of Directors, Partners for Stennis, St. Tammany Parish Economic Development Foundation and District, Northshore Psychiatric Hospital, Louisiana Association of Chamber of Commerce Executives, Small Business Advisory Board, and serving as a member of numerous other organizations. Irma has won a number of awards including Women of the Year by the Slidell Business and Professional Women’s Club, the Distinguished Leadership Award, NASA Public Service Award, YWCA Role Model and Athena Award. Most recently a foundation was created to honor her legacy by raising funds to offer scholarships to individuals seeking vocation/industry-based certification or associate degrees. Irma currently resides in Slidell.